I never imagined how important cooking was going to be in my life until our second child was born with multiple life threatening food allergies (8 foods in total). Before his diagnosis I was an average home cook, with one son who was fairly picky. We would eat out on occasion and didn't make everything from scratch. Once we learned of our sons food allergies all of this changed... we needed to be able to prepare all of his meals at home... he is 4 now and has never eaten a meal that wasn't from our kitchen. It was difficult at first learning how to cook and bake without using things like wheat and eggs. There was no more buying frozen waffles or chicken nuggets or jarred pasta sauce. Everything was going to have to be made from scratch. Over the years we have found a few safe convince foods for him but mostly we still make all of his food for him. 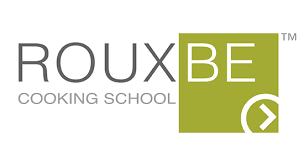 During this time I found an online cooking school called RouxBe that was very helpful. RouxBe delivers technique-focused culinary instruction over the internet, to any cook that wants to improve their cooking skills and health. I was very impressed with the cooking courses. They had the same feel as any online college course, but with more visuals and hands on learning. I was able to learn proper techniques and how to make some really delicious meals. I was so impressed that I am going to be GIVING AWAY ONE FREE ROUXBE ONLINE COOKING COURSE. To enter: all you have to do is Comment, like and share this blog post. Or head over to any Tips 4 Saving social media site (links on the right hand side) and like, comment or share any post. Each comment, like and share will be counted as an entry. US residents only. Free cooking course code will be emailed directly to the winner. Giveaway ends Monday April 3rd at midnight.